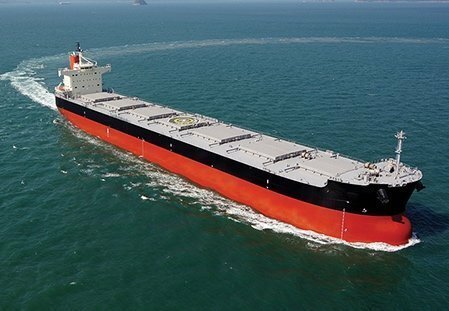 Brokers are expecting a couple of heated S&P weeks ahead of them, hoping to grab the most popular ships on the market which are five to 12 years old Japanese built bulkers. Many brokers are already negotiating on ships, while principals are asking their banks to open the taps so they can grab more bulkers, mostly in the kamsarmax segment and down. Compass Maritime notes in its weekly report it is starting to see some buyers waiving pre-purchase vessel inspections and buying only days after ships are first circulated for sale. In the kamsarmax market Compass Maritime reports that at least 20 parties have so far requested to inspect the Tsuneishi-built, 81,918 dwt United Prestige on sale by trustees of the United Ocean Group. Offers are due on March 6. In the supramax sector the same report notes at at least 10 buyers have inspected the 56,568 dwt Sun Lucia while a sistership had has had a record of 15 buyers inspecting. Prices are shooting through the roof, up by 50% in the past 12 months.